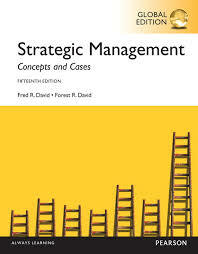 245 1 0 %a Strategic management : %b concepts and cases : a competitive advantage approach / %c Fred R. David, Forest R. David. 260 # %a Boston [etc.] : %b Pearson Education, %c 2014. 300 %a 682 s. : %b il. ; %c 28 cm.